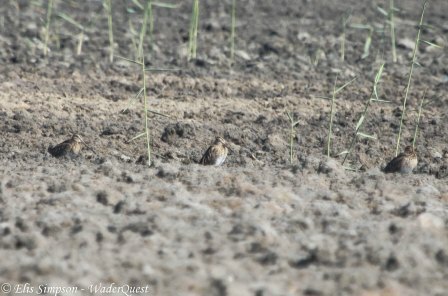 Wader Quest: Wader Quest species seen nº 1: Common Snipe. 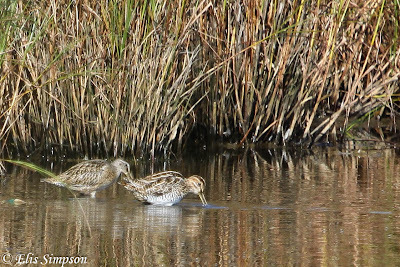 Wader Quest species seen nº 1: Common Snipe. This species had the honour of being the first species seen on our quest. 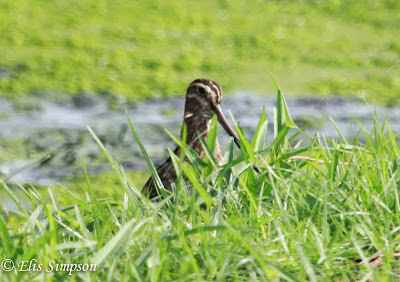 It was seen foraging around at the base of some vegetation on the fresh marsh. This species is widespread across Europe and Asia and two subspecies are recognised gallinago and faeroensis the latter breeds in Iceland and the islands of north Scotland. 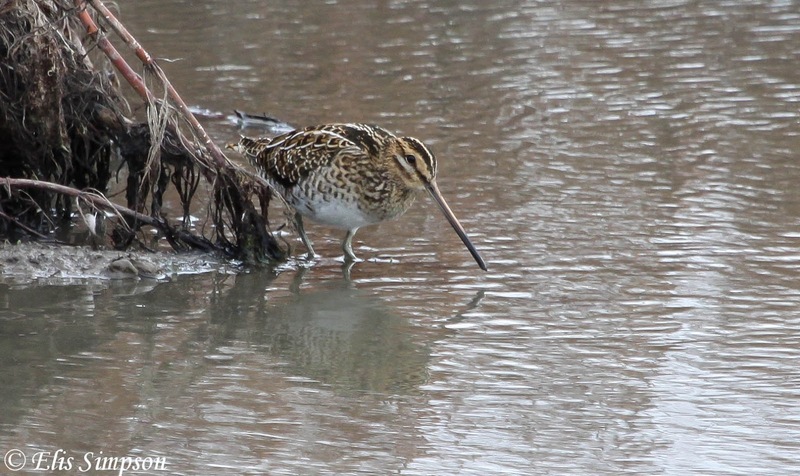 They are permanent residents in the UK with winter numbers swelling with birds coming from the north, including faeroensis. 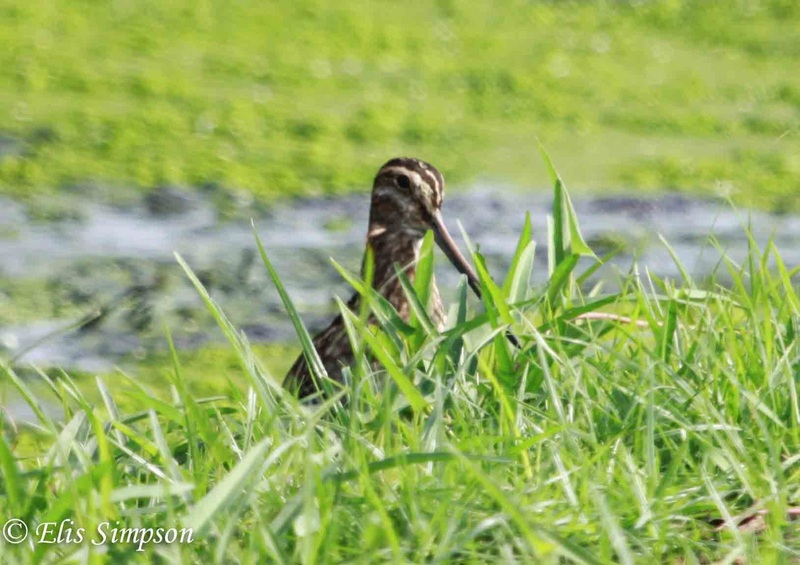 Birdlife consider Common Snipe to be of Least Concern, it has a large global population estimated to be over 5.4 million to 7.5 million individuals (to include G. delicata). Population across Europe is decreasing but not significantly. 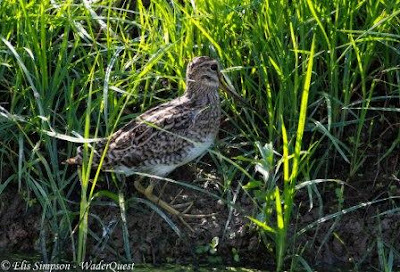 The main threats to this species are: habitat loss such as wetland drainage and grassland modifications; oil/petroleum pollution and change of land management and use across parts of Russia threaten some stop over points for migrating birds; lead poisoning due to swallowing lead shot on wetlands; predation on islands by introduced mammals such as hedgehogs; they are also shot for sport in some places including the UK. With Short-billed Dowitcher (L): Lodmoor RSPB reserve Dorset, England. Pivot Fields, Dubai, United Arab Emirates.